John S. Baen is a Professor of Real Estate, as well as a practicing commercial real estate broker, Certified Real Estate Appraiser, Certified Right-of-Way Agent, author and expert witness / consultant. Dr. Baen has authored over seventy (70) articles, five books / texts and is currently serving and is currently serving on the board of the American Real Estate Society (ARES). He is a noted expert in oil and gas leases, litigation and research as well as many other areas of real estate. Professor Baen has held positions, lectures, and delivered academic and industry speeches in New Zealand, Australia, United Kingdom, Austria, Sweden, South Africa and throughout the United States of America. His research and lectures are anchored in both theory and practical aspects of a wide range of real estate topics which has earned three (3) national manuscript awards which were sponsored by ARES corporate sponsors such as John Hancock (1997); Prudential (1998); and the International Council of Shopping Centers (1999). Terry is now in partial retirement, after 50 years in the property industry. 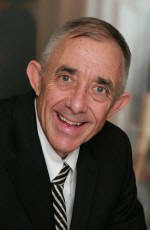 He is still involved as a property consultant and education advisor to both public and private sectors in Australia. 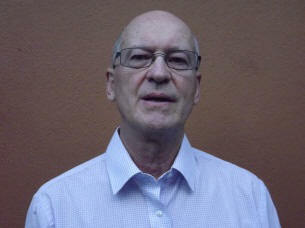 His is a registered valuer (Queensland) and a conference chairperson (Land Valuation Act (Qld) 2010). He is presently involved in compensation assessments for Indigenous Land Use Agreements and is a review panel member for the Queensland State Valuation Service. 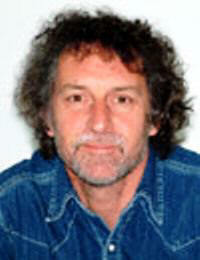 He is an adjunct professor at CQUniversity and the University of the Sunshine Coast. In the past, he held professorial chairs at QUT, Australia and Lincoln University, New Zealand and acted as an executive director and principal of property companies. Neil has been Professor of Real Estate at the University of Reading since 1994 having been previously Professor at Oxford Brookes and lecturer at Reading and Nottingham Trent Universities. Before that he was a practicing valuation surveyor in a combined residential and commercial property consulting firm based in the UK where he qualified as a Chartered Valuation Surveyor in 1975.
practice. In 2001 and 2008, he was a member of the UK Research Assessment Exercise panel assessing the UK real estate academic output for the UK Government. He has published well over 100 papers on the various topics listed above and the third edition of his textbook on Property Investment Appraisal with Andrew Baum was published in 2007. John S. Baen,, "Catastrophic Interruptions Of Normal Property Cycles: The Path To Recovery Through Persistence, Collective Individual"
Neil Crosby, Commercial Property Valuations –What Have They Ever Done For Us? Michael Y Mak, Janet X Ge And Wenli Dong, "Sustainability Rating Tools And Measurement: A Pilot Study"
John Mcdonagh, Jacky Bowring, And Harvey Perkins,, "What Now? The Post Disaster Experiences Of Small, Inner City Retail Businesses." Dermot Mcgeown And Ajith Kuruvilla , Strip Shopping Precincts: Analysis Of Renewal Policies By Local Authorities: An Examination Of Recent Policy Implementation. Jane H. Simpson And Gary O. Garner, Longitudinal Study Of The Significance Of Trusts And Companies Listed On The New Zealand Stock Exchange Under The Property Sector.